Have you ever sat down after a long day of work to watch “just one” mindless episode of a random cooking show on Netflix, only to realize eight hours later that it’s 2 a.m. and you’ve finished the entire series along with two full bags of hot Cheetos? (No?) That’s kind of how it was when we discovered The Great British Bake Off. 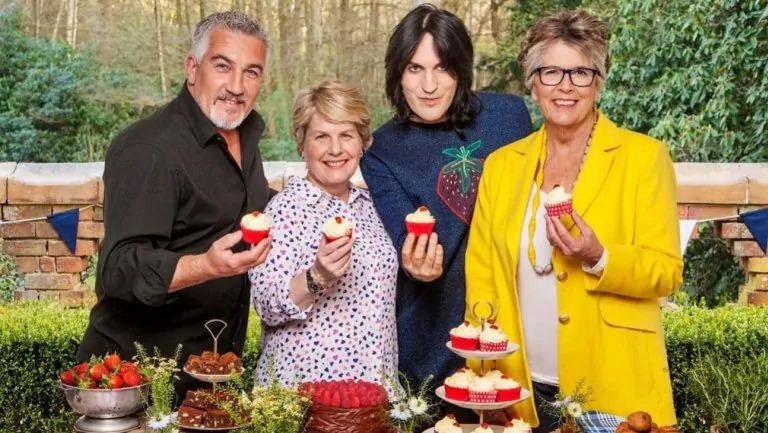 Yesterday, Netflix announced that there will be a lot more Bake Off on the way. Season 8 will be dropping on Netflix next Friday, Aug. 31, and season 9 is set to debut next year. Netflix has also promised to release the third season to go along with seasons 4-7, which, of course, we’ve already binged. Never heard of the show? You’re missing out. Uproxx said it best when it described the show as “the only competition show that’s engineered to make you feel like you’re wrapped up in a big warm blanket on a perfect autumn evening.” If you’re looking for a reality show that makes you feel warm and fuzzy inside, this is the one for you. It’s all about people making food and then becoming best friends along the way. And British accents. Honestly, what more could you want from a show? Plus, it’s at least 100 times better than watching the news.